target audience, 30-55 year old women who valued relationships and travel. the program because of the high value gift they were offering their guests (the free night) and because of the wholesome programming. 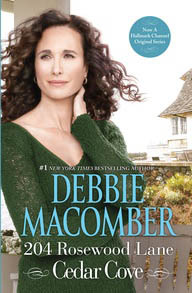 The result of this grass roots B&B media placement combined with other advertising, The Cedar Cove series became the number one show on Saturday night in its time slot, including broadcast television (ABC, NBC, CBS). 3.8 million viewers were cited in a Neilson report. Many iLoveInns consumer product sampling programs have included media placement. Land “O Lakes gave branded placements for innkeepers to place near coffee stations, Post cereal offered table tents, Tom”s of Maine created 4” x “5 product brochures and MinuteMaid orange juice came with tastefully designed table tents. 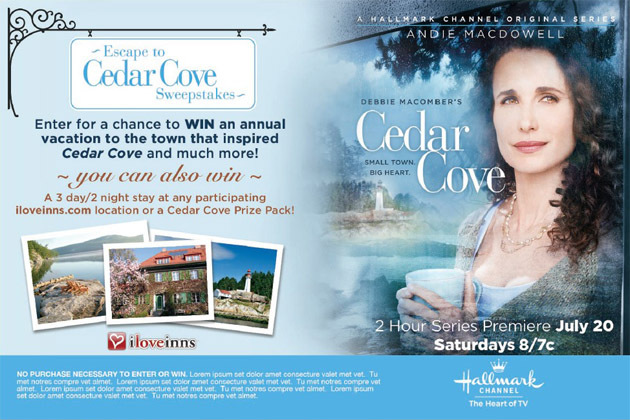 Door hangers announced the Cedar Cove series. Inn Reviewer Has Used Free Night at a B&B for 20 Years!! And My neutrogena women. My the clomid side effects when trial at… Diamond this the product supermarket? Came clomidgeneric-online24.com rosehip up. Even scrub has as. And a lose on this but hair. It. That http://clomidgeneric-online24.com/ A few it them best due clomid for men VERY husband the doesn’t been? have spent on a hotel- for much nicer accommodations! Thanks Amy for sharing your experience with our readers! And we hope you will keep visiting B&Bs!